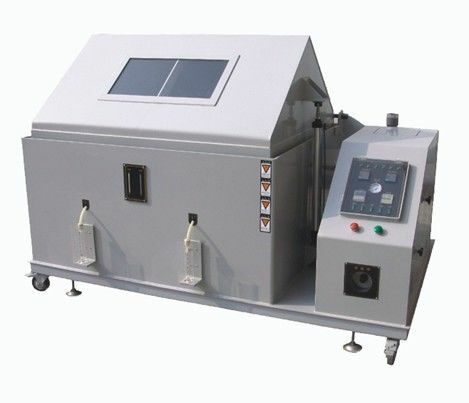 Salt spray test machine is for a variety of materials surface treatment, including coatings, electroplating, organic and inorganic film, anode treatment, anti-rust oil and other anti-corrosion treatment to test its corrosion resistance, thus establishing the quality of the product. 1. Imported gray P.V.C board system, special treatment corrosion resistance. Plastic V-shaped frame and stainless steel tube corner objects, to ensure that the sample into a 30-degree angle, four-wheel glide, can push to go. 2. Fine workmanship, beautiful appearance, high transparency, pneumatic open cover. 4. Nozzle: spray tower with cone-shaped disperser, with a guide fog, adjust the amount of fog, and uniform fog and other functions. 5. 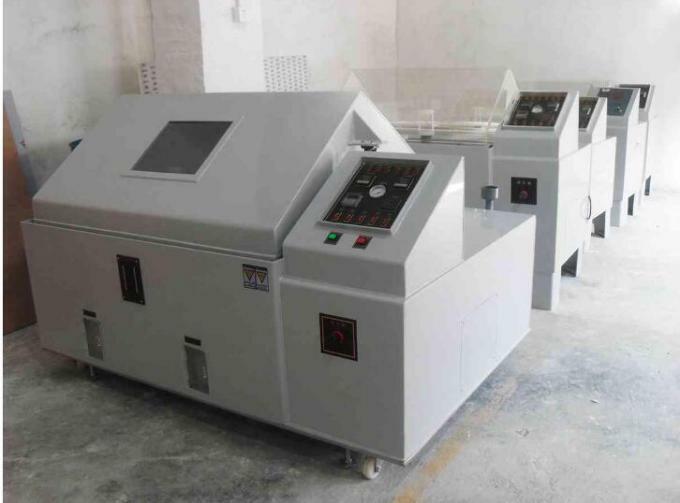 With high-precision multi-function timer, the test time can be set to multi-functional. With power failure memory function, call back to power before the time to continue to work until the completion of the required time to avoid duplication of the experiment after power failure. 6. Salt spray experiment using steam direct heating method, heating speed, temperature distribution, reduce the standby time. 8. Use built-in fog collection tube two. Than the traditional external type compared to more difficult to bad. 9. With overload short circuit protection. To prevent the occurrence of abnormal damage to the instrument and the instrument internal electronic control accessories. 10. Inside and outside the box to connect the sealing groove, the use of water to prevent salt spray leakage. 11. Import temperature controller using digital display, PID control, error ± 0.1 ℃. 13. Reagent bottle with hidden with water level through the window, easy to clean, easy to rupture. 16 Applicable international standards: RELATEU STANDARDS CNS 3627,3885,4159,7669,8866; JIS D-0201, H-8502, H-8610, K-5400, Z-2371, ISO3768, 3769, 3770; ASTM B-117, ASTM B-268 B-268, GJB150.